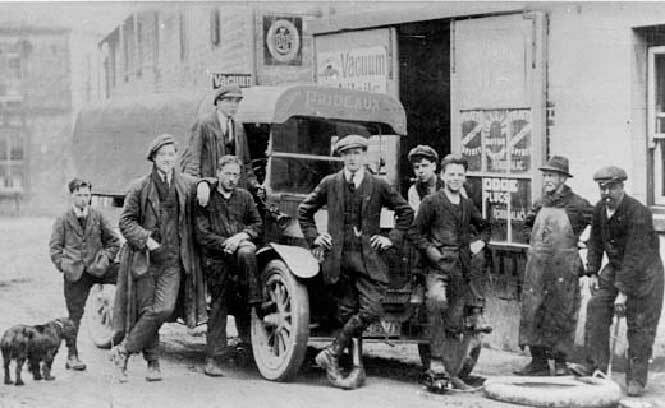 At Whitmarsh’s forge and garage, Castle Street, Mere, c.1925. 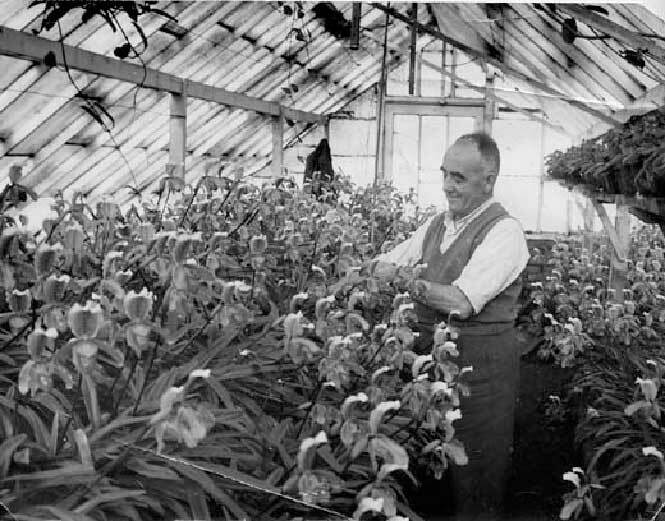 Wilfred Cowley in the orchid house of Burden & Sons’ nursery, Mere, c.1970. 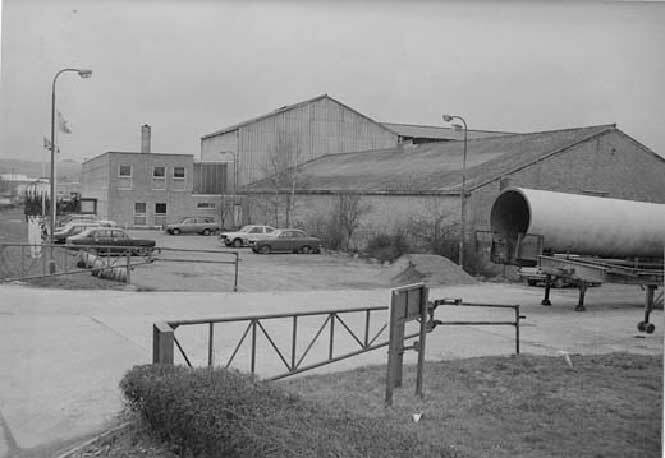 F.E.Beaumont, Ltd., industrial chimney specialists, had a factory in Woodlands Road, Mere from 1968 until about 2001. 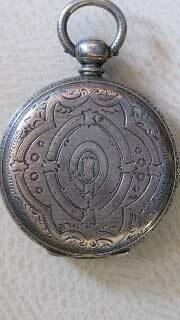 The back of a silver pocket watch made by Frederick Steir a Mere clock and watch maker, 1859-1875. 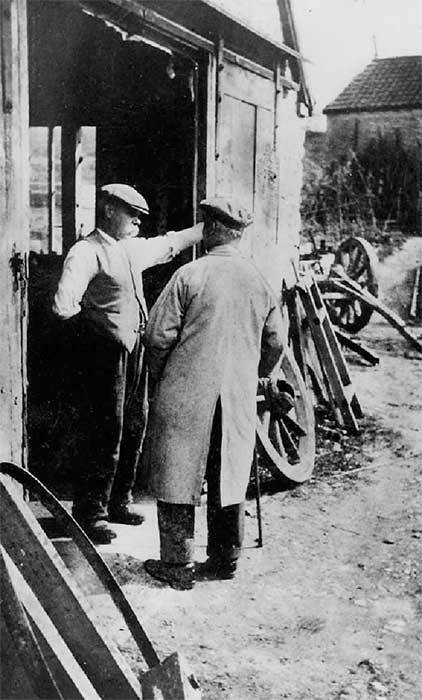 Mr.Thompson, taxidermist, at his shop in Salisbury Street, Mere, early 20th. 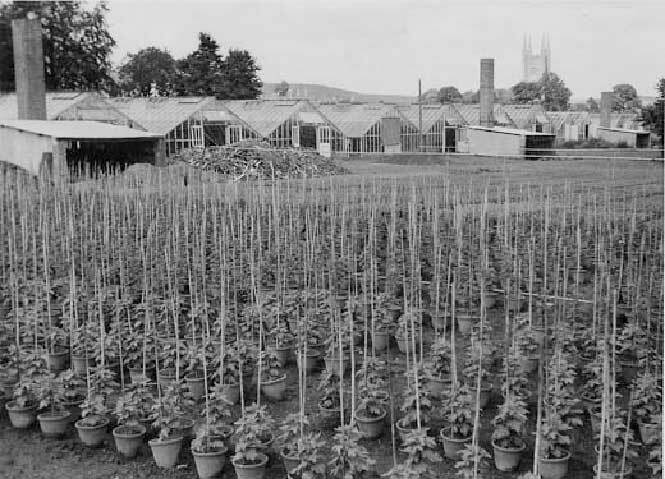 c.
Burden & Sons’ nurseries at Townsend, Mere. A market-gardening business was founded in Mere by George Burden in 1899 and glasshouses were built on both the east and west sides of the town. The larger part of the Townsend site is now trading as J.B.Plants, specialising in pot plants. 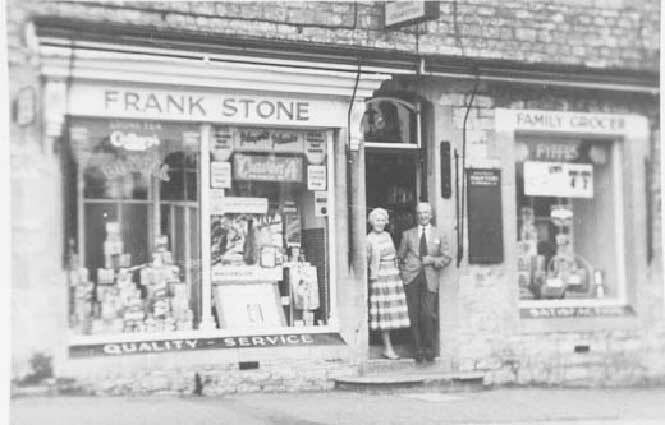 Mr. & Mrs. Frank Stone outside their grocer’s shop in Castle Street, Mere, c.1960.The shop closed in the 1960’s and is now a private house. 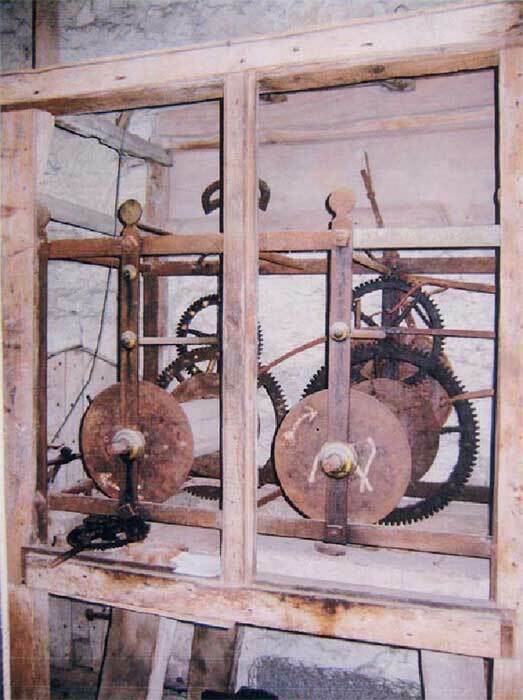 In the tower of Mere Parish Church is a disused clock made by Kingston Avery, an 18th. c. Mere clockmaker. 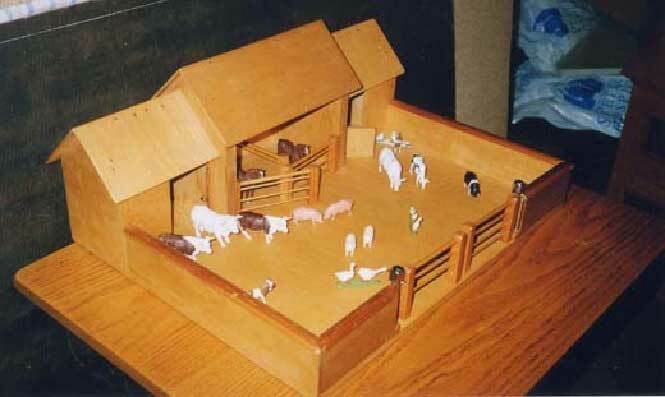 A toy farmyard made by Cuthbert Lander, a blind man who made a wonderful selection of furniture and toys at Lordsmead House, Mere, in the latter half of the 20th. century. 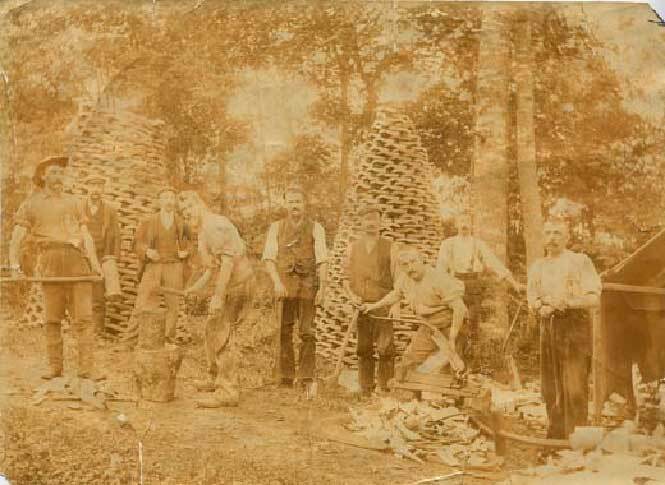 Tony Harcourt, “Tony the Clogger”, with his workmates making clogs in Stourton woods, Wiltshire, c.1902. 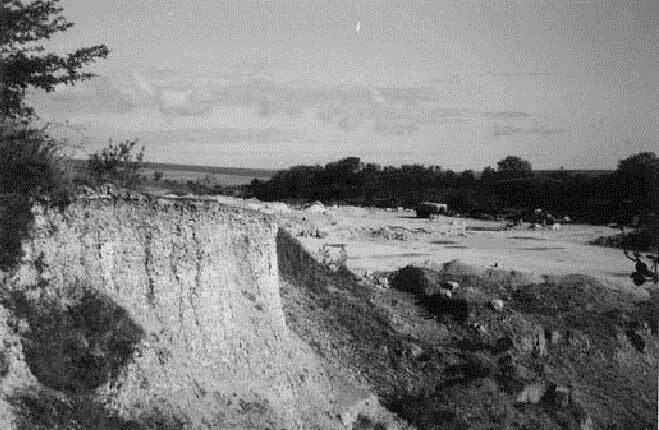 Charnage chalk pit, Mere, in 1976. There was a lime kiln on this site many years ago. 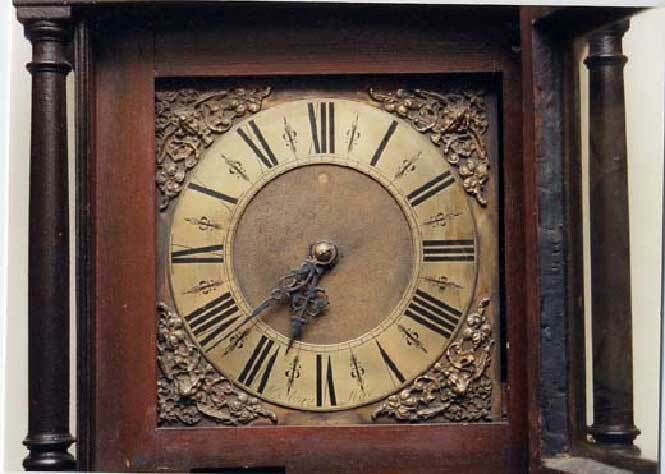 The face of a long-case clock made by Kingston Avery, the 18th. century clock maker of Mere. 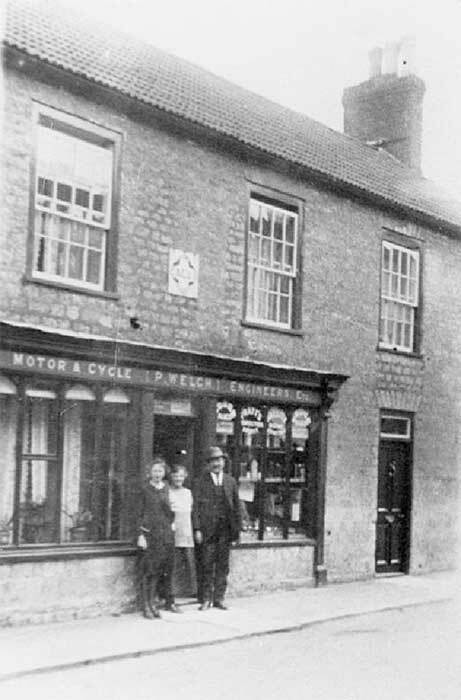 Philip Welch, cycle and motor engineer, pictured with his wife and daughter outside their shop in Salisbury Street, Mere (now Jeans’), c.1930. Mr. Howell, blacksmith at Southbrook, Mere, pictured with one employee, with a bridge they have made. 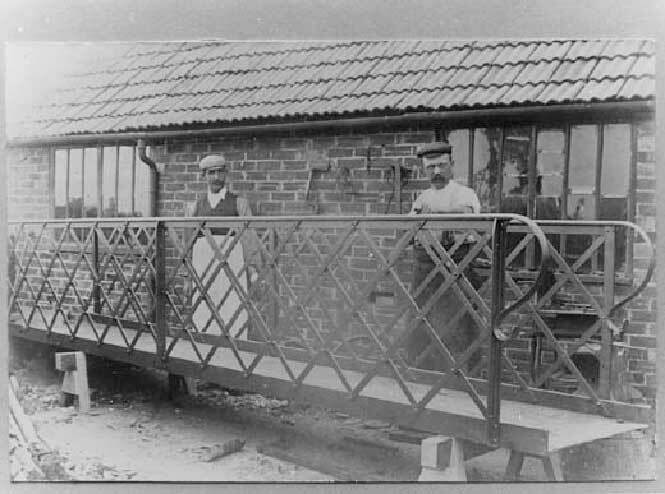 The bridge may have been one seen in old photographs of Lordsmead Mill where the footpath crosses the River Shreen. 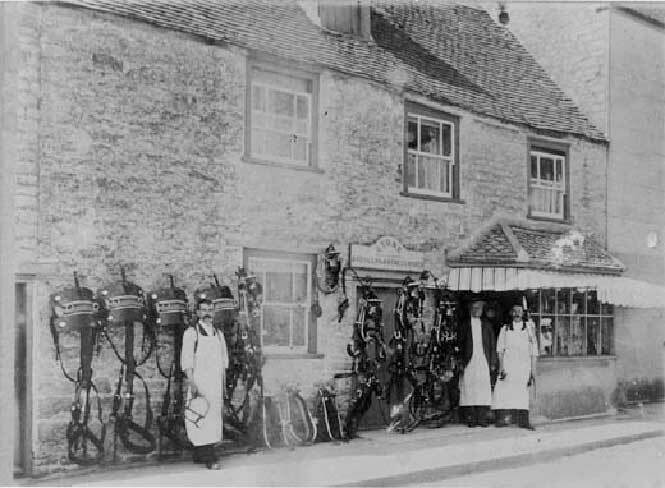 A display of goods outside the workshop of the Stone brothers, harness makers and saddlers of Castle Street, Mere. The display may have been done as part of Mere’s celebration of King Edward VII’s coronation in 1902. 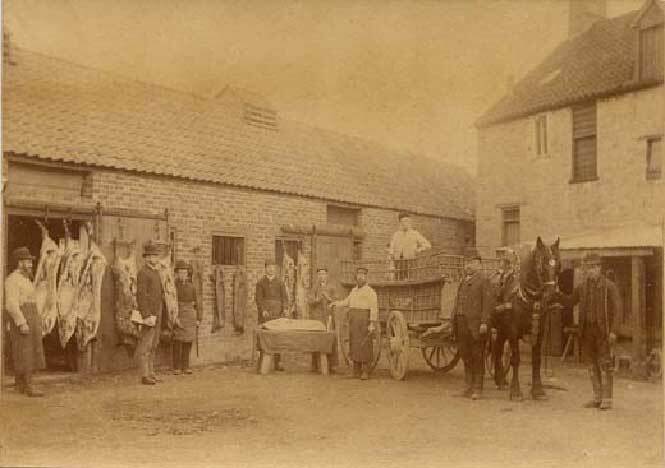 A butcher’s wagon and pig carcases on display with staff of Lander Bros.’ Bacon Factory (now Yapp Bros.), Water Street, Mere, c.1890. 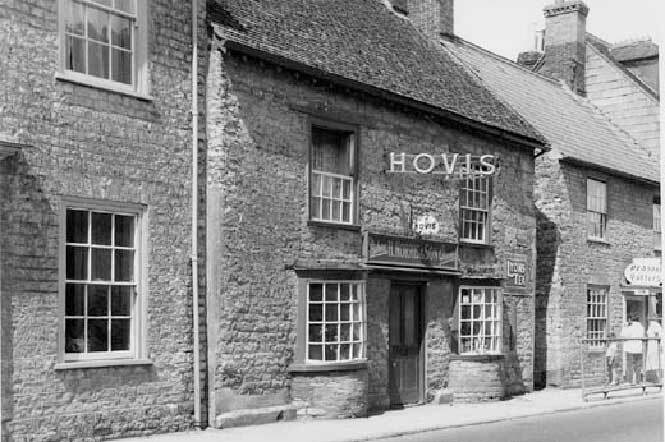 The bow-fronted windows at H.Norris & Son’s baker’s shop in Salisbury Street, Mere in 1966. It is now a private house, “Pickwicks”. 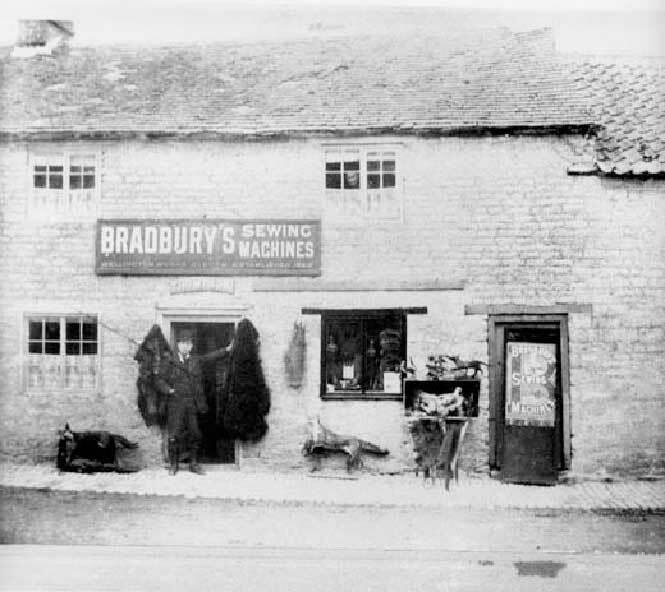 Mr.Perman Maidment’s wheelwright’s workshop at Burton, Mere, c.1950.